Our client had recently completed a full remodel of their home and found the back yard to be outdated in comparison. 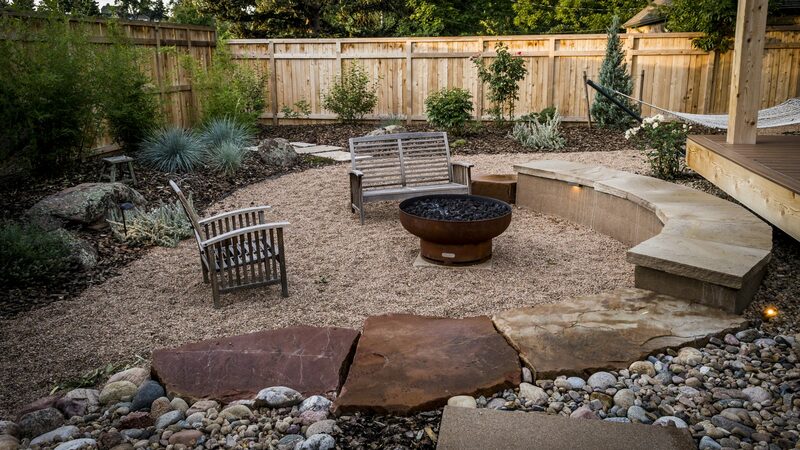 The client’s main goals were to create a space for entertainment, save water by removing lawn areas and installing xeric planting, and to create interest and beauty through level changes between spaces. The client began working with our team to discover new ways to minimally maintain their landscape and to create an optimum use of the yard. Our goal was to incorporate a unique, eclectic, and modern style to complement their taste as reflected in their interior and architectural remodel.